When I agreed to take on the leadership role of the UBC run study last fall, I was at a crossroads with my running; I was in a state that was fast becoming find some inspiration, find something to regain the love, or move on. When the opportunity was first presented, I had some hesitations: I had never led a training session before; I am seriously directionally inept; what about the Little Ring sitting; could I put my goals aside to help others with their goals? The 15 weeks of training ended about three weeks ago and this week I am about to embark on my second stint as run leader with the UBC run study. If that’s not evidence enough that this was very much the missing link I needed, I don’t know what is. How could this not be considered fun??? Finally, I was happy running again. Some days the program was more challenging than others, but because I was the leader, there was no whining or wimping out, I had to lead by example; it was full boar up those hills, and gust or bust through those speed intervals. And while the numbers dwindled somewhat over the weeks (might have had something to do with the light snow and sharp cold) there was always someone(s) to run with. I was no longer lonely running, which was pretty freaking awesome. But it wasn’t just running with other people, it was running with these chicks! Finally – finally! – after a crazy long search, I had finally found another group of solid favourite running chicks. Seriously, I am not just saying that. 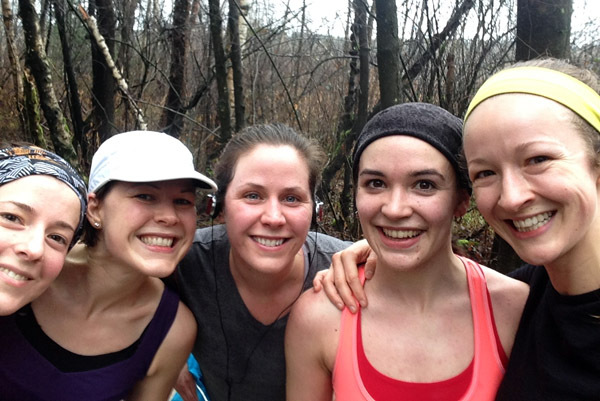 It took all of one, maybe two runs with these chicks to feel as though we’d been running together for years. We griped at things, we laughed at things, we told stories of our lives, and yes, we even talked poo! Running with my new set of favourites didn’t feel like a chore. 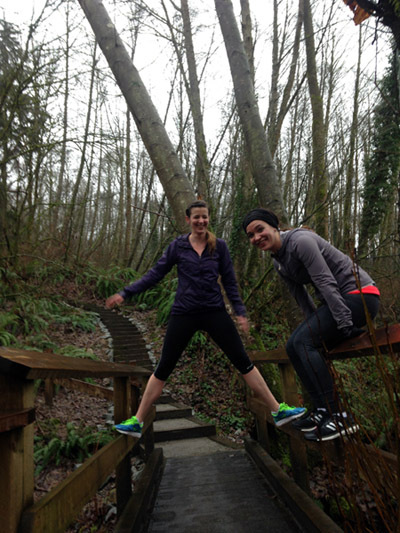 I was excited to get on the trails, the roads, the hills with these girls. I wanted to be out there. And even though the majority of our runs were repeat runs, routes we’d done time and time again, it didn’t feel repetitive, it didn’t feel long. Some of the speed intervals were out and backs multiple times which I normally loathe, which normally feel so tiresome and long, but with these chicks, it was like a snap of the fingers and the run was done. And almost always, if not always, with a smile at the finish. And so, when the organizer of the study asked me (probably in the best way possible, calling me a favourite) if I’d be interested in taking on another group of ladies, there were no hesitations this time. I knew I could do it. I knew I loved doing it. And by golly, I convinced a few of my favourites to keep coming out, hells yes I was going to do it. Tomorrow starts the first day of the next 15 weeks. 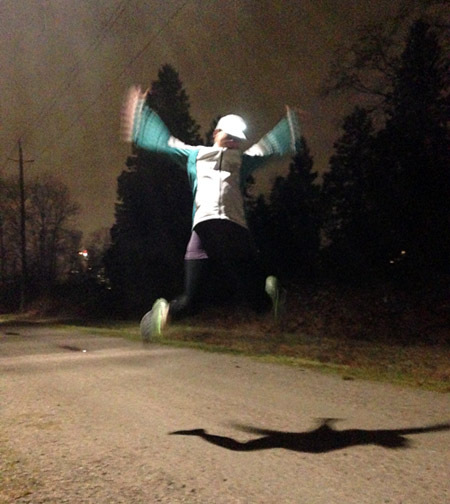 This entry was posted in Running and tagged favourite running chicks, half marathon training, UBC Run Study. Bookmark the permalink.